 Liberty Moving is more than a moving company. We’re a moving family! We work with you to provide the safest and most enjoyable moving experience available to our residential and commercial moving customers. This dedication to excellence has helped us become an Alabama moving company known for reliability, punctuality, and honesty. If you’re ready to get professional help with your next move, contact Liberty Moving to learn how we can simplify the process and help cut down your stress. With Liberty Moving you’ll know your property is in good hands and you’ll know you’re getting the best price available. At Liberty, we hire some of the brightest most experienced movers in and around the Birmingham area. We know that moving can be an especially busy and stressful time in your life, especially if you’re moving to a new state or country. Let our experienced professionals take care of your large or small, residential or commercial move and leave you free of any stress that may be associated with it. We take great pride in our fast and secure moving services and guarantee quick turn around and a problem free move. We take great care with all of our customers’ moving needs and work hard to ensure all of our customers are satisfied with the services we offer. Liberty Moving is a family owned and operated residential and commercial moving company. We provide not only local, but long distance moving options that work for, not against you like most moving companies. If you just need packing/unpacking, loading/unloading, internal or interior moving, storage or delivery of your belongings or newly purchased furniture or appliances, contact us for a quick free quote. We are a responsible licensed and insured Alabama moving company. We offer comprehensive services guaranteed to meet any of our customers’ moving needs. From packing boxes to moving baby grand pianos, our team of dedicated moving professionals are here to make sure your move is as problem-free as possible. Local Service Areas: Alabaster, Birmingham, Bluff Park, Cahaba Heights, Chelsea, Crestline, Crestline Heights, English Village, Fultondale, Gardendale, Grayson, Valley, Helena, Homewood, Hoover, Hueytown, Indian Springs, Inverness, Lake Purdy, Leeds, Maylene, McCalla, Meadowbrook, Mountain Brook, Overton, Pelham, Pleasant Grove, Riverchase, Sterrett, Trussville, Vestavia Hills, and Westover. Nationwide Areas: We also service the entire United States and abroad.